Great, I have built it and it's lots of fun. I made some changes based on my matches. Krosan Verge - put Mutavault instead. Masterwork of Ingenuity - I don't have it, will buy. Asceticism - I don't have it and put Privileged Position instead. Leonin Abunas - Privileged Position can protect kitties' toys. Prowling Serpopard - I haven't seen someone counter kitties, so I put other things. Raksha Golden Cub - Too big, I put Taj-Nar Swordsmith instead. Steppe Lynx - I prefer Loam Lion, Steppe Lynx needs landfall. Hunting Cheetah - I don't have it, will buy. 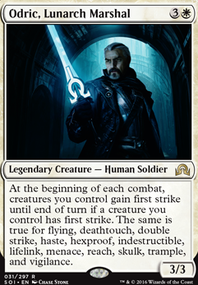 Teferi's Protection - I don't have it, will buy. Chariot of Victory, Helm of Kaldra and Haunted Cloak all give your commander haste. also maybe consider running Urborg, Tomb of Yawgmoth with Cabal Coffers for mana ramp if you have them. Evil Twin seems like it would fit your theme as well. Sword of Kaldra's P/T boost is greatly outpaced by Blackblade Reforged, and Godsend has a much cleaner exile trigger. Shield of Kaldra compares incredibly poorly to the cheaper Darksteel Plate and the auto-equipping Hammer of Nazahn. 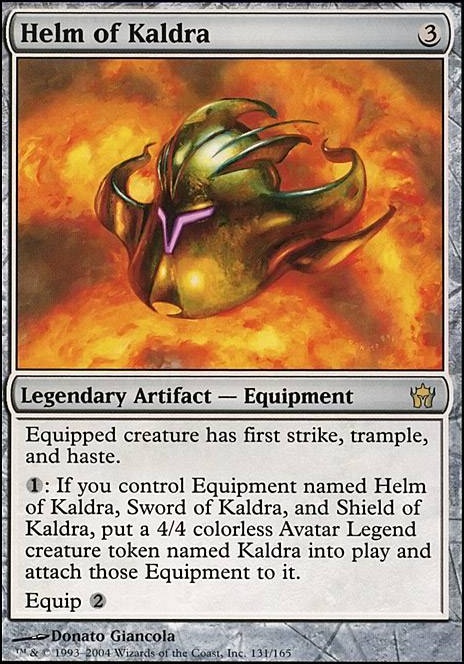 Helm of Kaldra is even hit with this by Chariot of Victory and Sword of Vengeance. The major nail in the coffin is the inconsistency in having the entire set together at once. 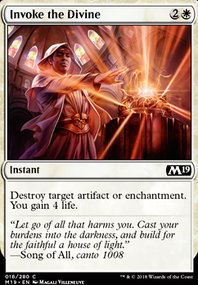 Burning tutors isn't a real solution, as grabbing relatively mediocre Equipment in the hopes to have fun with an essentially immortal 9/9 isn't that efficient. rob_shifflett on Should Yennett join the Bandits? Cloudius I am aware of what colors Are available to you. Looking at only equipment, there are 12 other than LG. 6 of which have oddCMC. 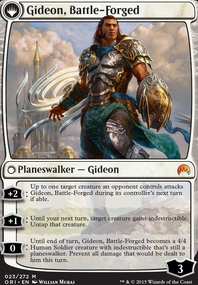 My favorites include: Sword of Vengeance Swiftfoot Boots Assault Suit Chariot of Victory Helm of Kaldra Helm of the Host Go here for full list: http://gatherer.wizards.com/Pages/Search/Default.aspx?action=advanced&text=+[haste]+![suspend]&color=+![R]+![G]&type=+! [%22Creature%22]⊂type=+[%22Equipment%22] Think nothing of it. That equals to 11 options. And there are more. If one is clever. It would be really fun playing also the three Kaldra equipments: Sword of Kaldra, Helm of Kaldra and Shield of Kaldra. And, in my personal opinion, I'd put also a Sensei's Divining Top, it will increase the chances to find what you want. Hey, well constructed budget Commander deck. I'm confused though the main deck here is low budget, but the maybeboard is not? 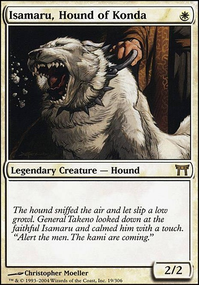 In fact the small amount of cards in the maybeboard are worth more than the entire main deck? If you want to play voltron consider a lot more equipments and cards that give bonuses to equipment? Voltron is a good secondary strategy with the main strategy of having many attack phases with Aurelia. An alternative for the very expensive price Swords (Sword of Feast of Famine, Sword of Fire and Ice, etc) are the three less expensive price Kaldra equipments. Obviously these are not as good as the Swords, but they're still powerful equipments and can get all three for less than half the price of one Sword. When you get all three into play they can combine to make a 4/4 creature and attach all three Kaldra equipments to it. 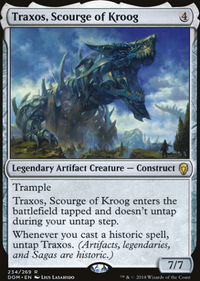 Some good things to add here would be Sword of the Animist, Strata Scythe, Land Tax,Trailblazer's Boots, Imprisoned in the Moon, Rogue's Passage, Wayfarer's Bauble, Solemn Simulacrum, Endless Atlas, Ichor Wellspring,Conqueror's Flail, Hammer of Nazahn, Loxodon Warhammer, the Kaldra cycle could be fun: Helm of Kaldra, Sword of Kaldra, Shield of Kaldra, Fireshrieker, Mycosynth Wellspring, maybe Bloodforged Battleaxe, Knight of the White Orchid, O-Naginata, and Silverblade Paladin.